Coastal Commission policy has always been that the LUAC (Land Use Advisory Committee) will review all permits pertinent to it’s area of responsibility. 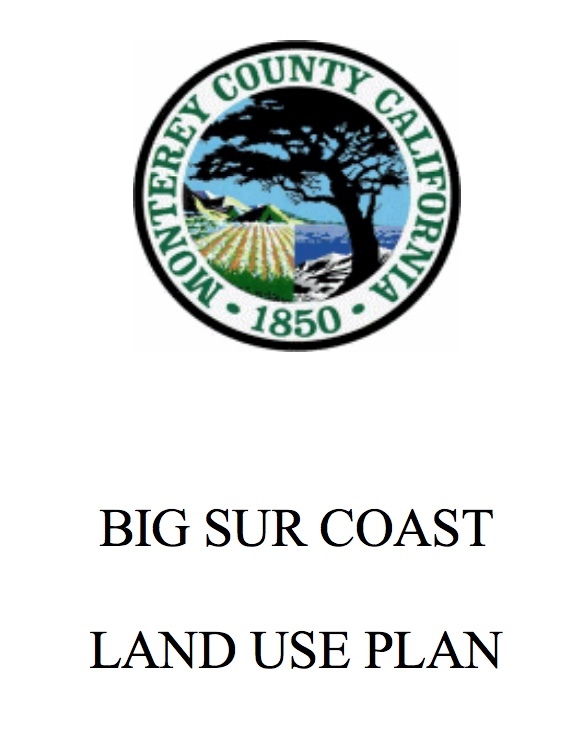 The Coastal Commission issued the recent Ventana permits with no Big Sur LUAC review. This represents a failure of due process resulting in development inconsistent with the the Big Sur LUP. The permits must therefore be reevaluated. Critical viewshed (the aesthetics of Big Sur): All development needs to be subordinate to the natural beauty, and consistent with it’s historic rural and rustic character of its history (materials and scale). The absence of a traffic study requirement for this permit, in addition to no flagging, and a near absence of public process is not acceptable procedure, and betrays the LUP. Historic buildings are slated for demolition in the plan. Signage – Walls and signs in this project are inconsistent with required specific design criteria in the LUP. This allows for the use of only native materials, “no neon plastic”, etc. ’Glamping’ – Loss of affordable accommodations: The 1971-72 Ventana permit met the LUP requirement that low cost, overnight accommodation be provided to offset hotel units being planned. The current plan’s $350-450/night “glamping” units must revert.